Love Potter? 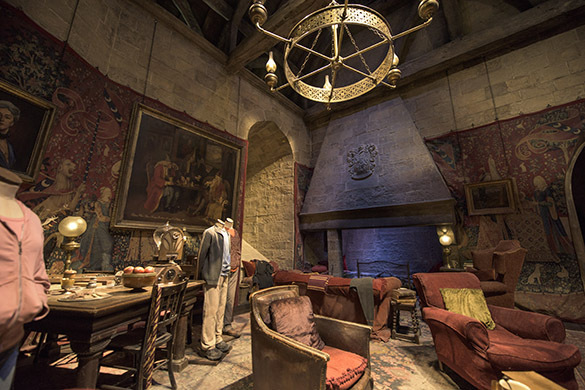 If you complete our Student Communications Survey you could be in with the chance of winning a tour of the Harry Potter Studio for you and a friend, followed by lunch at Hunton Park Hotel. To be in with the chance of winning, all you need to do is complete our Student Communications Survey. The survey takes less than 10 minutes to complete and will be used to help improve how the University communicates with you. By taking part in the survey, we hope to improve our student news stories, our social media and the emails we send you. You can complete the survey and enter the competition online. Step behind-the-scenes of Quidditch and take home some magic while you're at it! At #WBTourLondon, you can get firsthand experience with green-screen techniques and purchase a souvenir photo to remember your visit. As a thank you for completing the survey, leave your name and email address at the end of a survey and you’ll be entered into our prize draw. The winner of the draw will win a £200 voucher for Red Letter Days, which you can use on the Red Letter Days product/s of your choice. Harry Potter Fact: The Potter filmmakers stocked Olivander’s shop with 17,000 wand boxes! If you win the £200 voucher and choose to spend your prize on the Harry Potter Studio tour, you and a friend could soon be exploring Diagon alley, walking through the Great Hall and flying over London on a broomstick (with the help of a green room, of course! ).